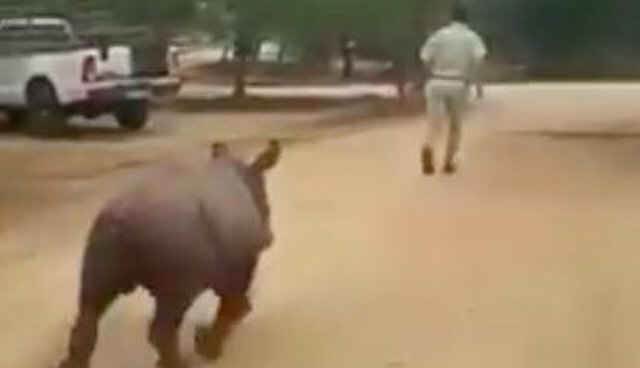 A rhino now known as Stompie had a terribly rough start in life - but it doesn't seem to get him down. Airlifted to safety just over a week ago after his mother was killed by poachers, Stompie also lost his tail in a hyena attack and is suffering from a nasty infection that could be very dangerous. But Stompie is in good hands. 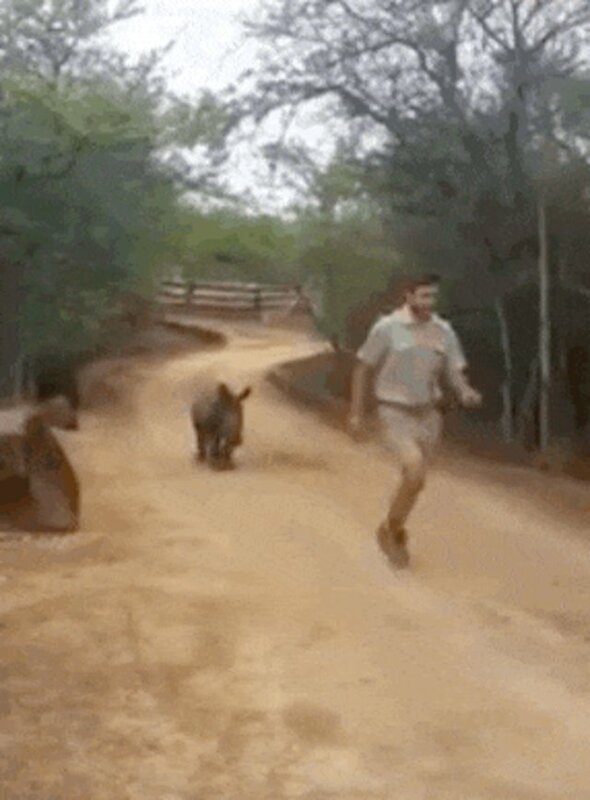 A new video shows Stompie running and playing with his caretaker, Christo, at an endangered species center in Limpopo, South Africa. "Stompie is doing well, although we are concerned about his injuries," Adine Roode, of the Hoedspruit Endangered Species Center (HESC), told The Dodo. "The curators at the HESC are working around the clock to feed him (he is getting milk every three hours), taking him for walks and settling him down." 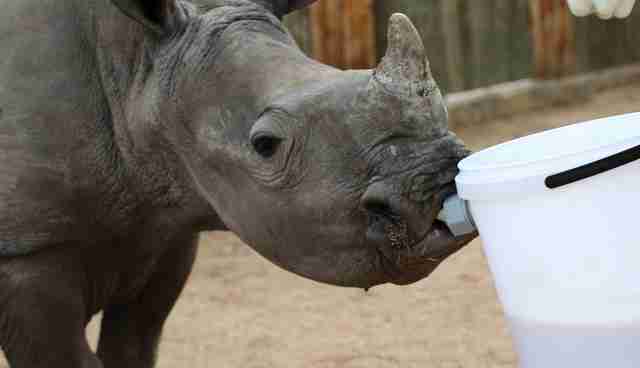 Stompie was joined by another young rhino who, like him, fell on hard times early on in life. Balu joined Stompie after he was separated from his mom during a violent storm. Together, they're already helping each other heal. Learn more about the HESC here.